Coin defect - smooth like rest of coin so doesn’t look like it’s been sawn or the like. Is this a minting defect? Any ideas? Hard to tell what you are asking about but assuming it's the top left edge seems to be missing. It could be a defective/miscut planchet. 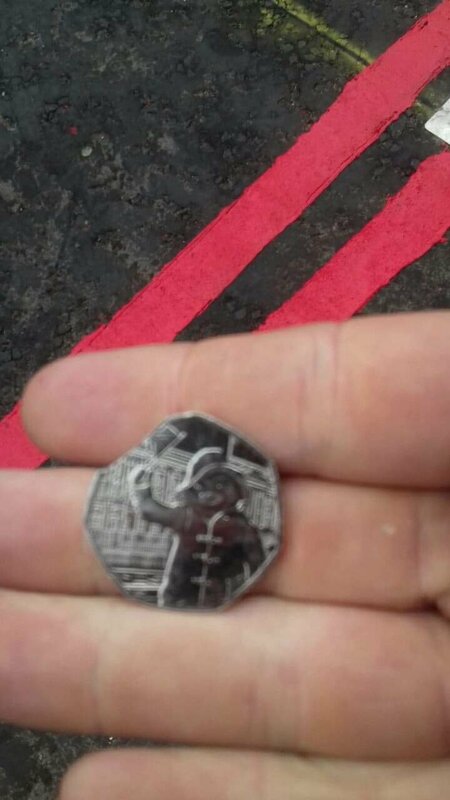 I can only assume that is one of these UK 50p coins. Pretty much what Mark said to be honest. Since about 2004 or so I have noticed reduction in quality with some of the circulation issue coinage. It's no surprise really given the ever increasing mintages and the various extra steps to prepare them, striking in harder metals (such as steel) and plating etc. All will be more time consuming. Hence, coins are turning up defective on occasion. Looks like you found an interesting error. The 20p coins are always good to look out for, they often have extra lumps of metal or die stress issues. I even once had a 2p coin that had lost part of its copper plating on the obverse and had the steel out in the elements. Even better for you is that it's one of the commemorative issues. Might even be worth a bit extra.